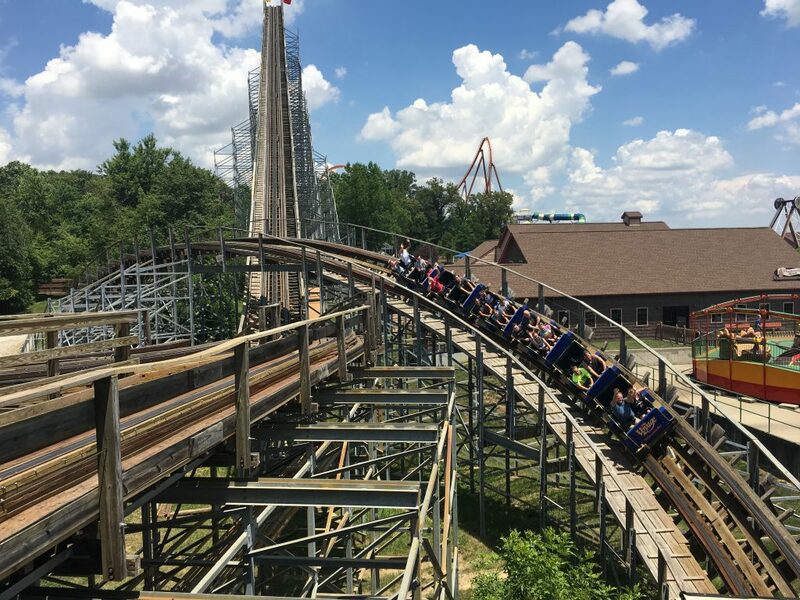 Holiday World is a park that every enthusiast has heard of. 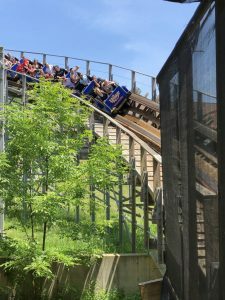 With its world class coaster lineup and incredible water park, people from all over the Midwestern United States flock here to enjoy a wonderful day at the park, but what makes this place so special? What helps set it apart from the other regional parks in the area? 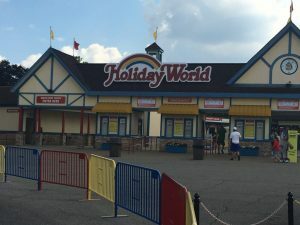 What makes Holiday World a destination not only for the thrill seeker but the family that’s looking to get a different experience then the chain park of SF or CF? 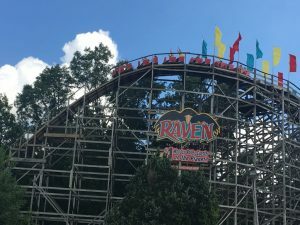 Enjoy a flight on the Raven as it tears through the woods at speeds of 48 mph. 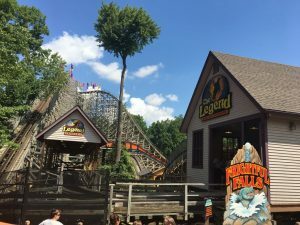 Holiday World sits between St. Louis, MO and Louisville, KY right off of interstate 64. Its theme should seem obvious, but it’s themed to the different holidays we celebrate here in America; Christmas, Halloween, 4th of July, and Thanksgiving. 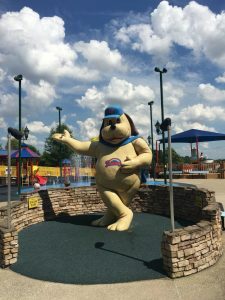 They have 2 other sections as well; Holidog’s Fun Town and Splashin’ Safari. 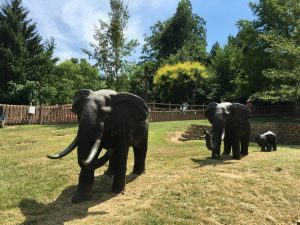 But making this park special goes beyond its basic theme. 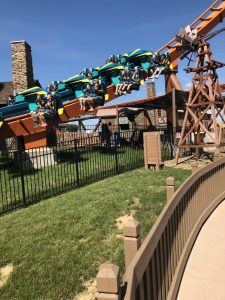 It starts with its incredible coaster line up of The Raven, The Legend, Thunderbird, and of course The Voyage, and continues with its world class water park and its two cornerstone water coasters of Mammoth and Wildebeest. 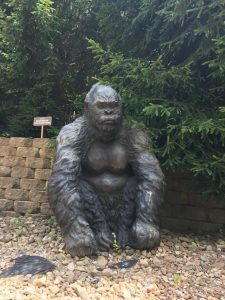 They also offer one of the greatest coaster enthusiast events around in HoliWood Nights; check out our other blog by Matt on this one. 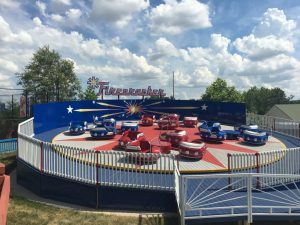 To top it off it has some of the friendliest staff around, great charm, and amazing perks for their guests with their motto of; Free Parking, Free Soft Drinks, and Free Sunscreen! While many of you already know this, many people see this and then choose to make it a destination for their family. 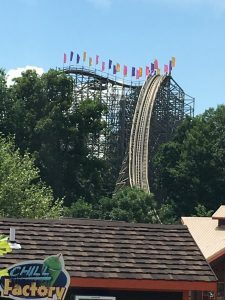 That is what makes Holiday World special. The Voyage as it thrills riders while it dives into one of its tunnels. 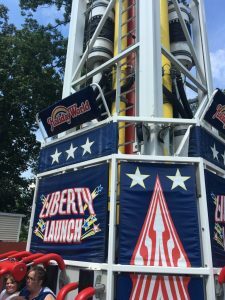 Holiday World doesn’t sit in a large city like many of our great theme parks across the country, so they really need to rely on the quality of the experience to not only get the thrill seeker and enthusiast there, but also the family. 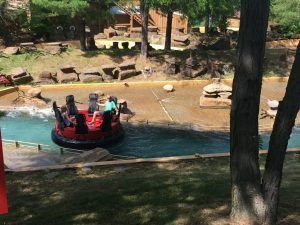 The fine balance of this can be quite difficult but HW pulls it off rather nicely with their great mix of kid areas, flat rides, world class water park and coasters; it has something for everyone of all ages. 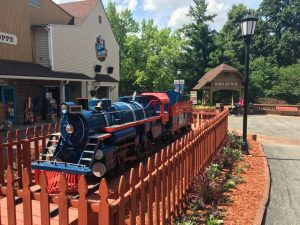 While there, I often find that several of their restaurants and Pepsi Refresh stations are open, the coasters run with multi train operations, and the staff goes out of their way to talk with you to ensure you are pleased with your visit.One thing that happens here, while obviously not unique to HW, is that they truly care for their rides and want to keep them around. 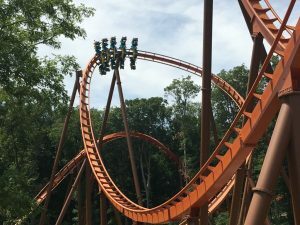 Thunderbird as it prepares to launch its riders at 60 mph. This gives many different people and generations the opportunity to enjoy them over many years. 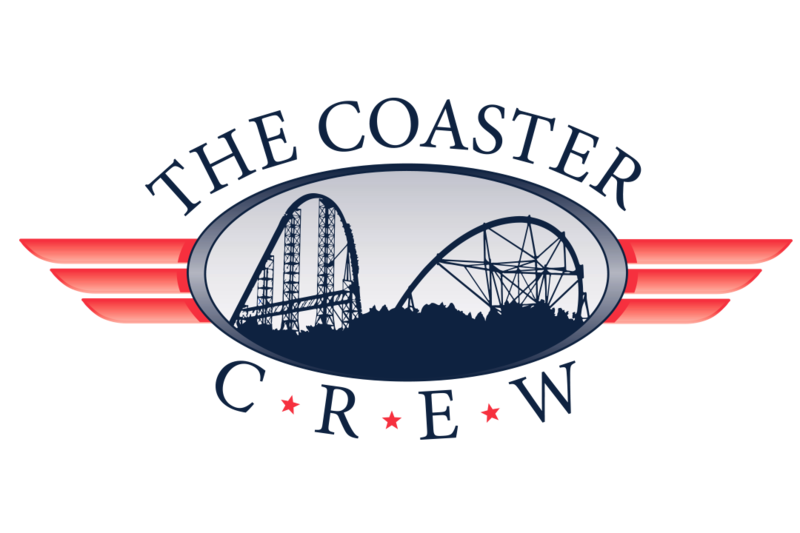 They have really focused on giving some attention to their amazing wooden coasters.Two years ago they decided to breath some life into The Legend, with major retracking after the famous double helix and by adding a double down in the last third of the coaster. This really helped improve the ride and gave it a smooth and fun ending. 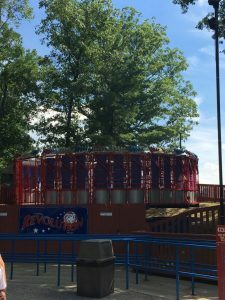 This year they have done the same to The Voyage, the keystone coaster of the park. This ride was starting to show its age in the second half and was a bit rough and needed a bit of attention. 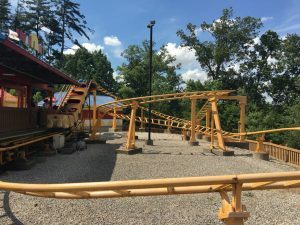 When I got on my first ride of the season I didn’t know they had done major work on it in the off season. When we hit the section where they retracked it I was beyond thrilled and impressed with how much this improved the ride. My expression was one of incredible excitement and joy. The quick transitions and ejector airtime that fill the second half seemed much more intense with the smoothed layout. The Voyage was already my number 1 wooden coaster but this only widened the gap from my number 2. 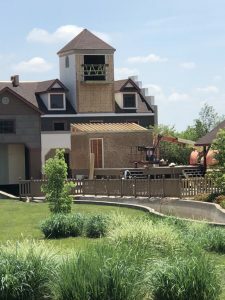 One of the other changes this year is coming to the old Giraffica/Pilgrim Plunge station where they are currently converting the old building to be used for a future show after it has sat unused since the ride closed back in 2013. Construction on the old Pilgrim Plunge and Giraffica water ride. There are many things here to bring you to Santa Claus, IN to visit this park; from ride operators singing songs while you wait in line at Thunderbird, to one of the Vice Presidents talking with guests in a long food line at Kringle’s Kafe, to the great improvements awaiting us on our favorite coasters, there is truly an aspect of personal touch that gets lost on the chain parks. 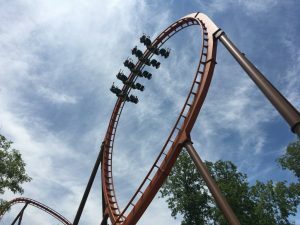 Holiday World may not be the biggest park around, have the most record breaking coasters, or jaw dropping theming; but they don’t need it. 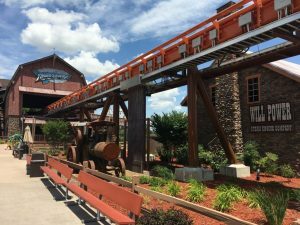 They are about the quality of their thrills, satisfaction of their guests, and quality of their experience. I hope you enjoy it as much as I always have.